Major Moments In Robert Graham! 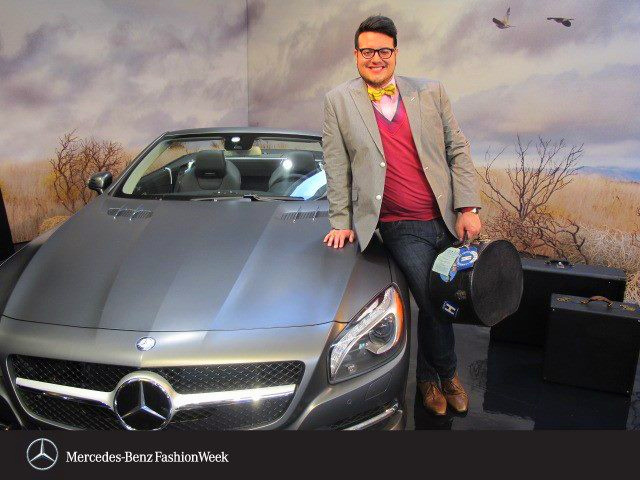 Wearing a Robert Graham blazer to Mercedes-Benz Fashion Week in February 2012 for the Fall/Winter 2012 Collections. In February of this year I was invited to Robert Graham's Fall 2012 presentation not really knowing what to expect. I knew there was going to be menswear (we all know I love going to see things that I can actually wear) but I did not know that I was going to fall in love with the brand! The presentation was at the Jimmy at the James hotel and I remember that as soon as the clothes came out everything started to happen for me! I loved the subtle details of the clothes and I loved how the pieces ranged from bright and fun to more toned down and professional. I knew I HAD to get some pieces! After the show I got in touch with appropriate RG people and made an appointment for the show room. I knew there was something about the pieces that I loved and it was at the show room where I learned exactly what it was. Robert Graham's clothing is unique in that every piece has subtle and sometimes not so subtle details. If you take a close look at one of Robert's dress shirts there are hidden patterns and unique buttons that are only for that one shirt. The blazers are on another level when it comes to menswear. The lining is always different for each blazer as well as super stunning and the fit and comfort is beyond! I guess I like the clothes because they fit my aesthetic which is wearing classic pieces with a twist. 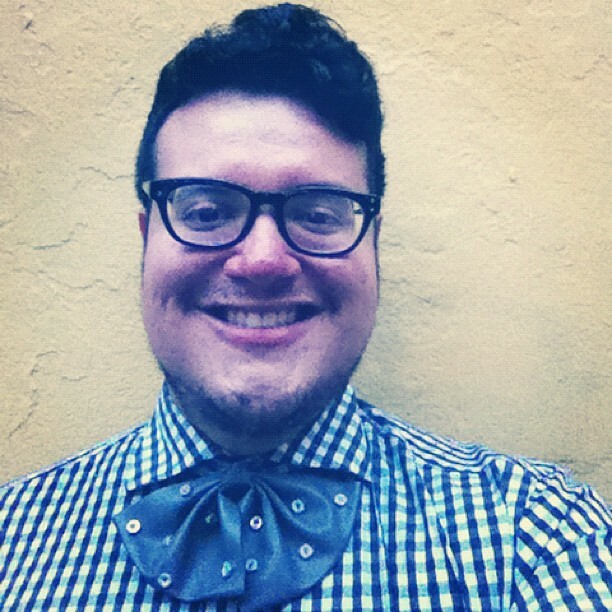 My favorite Robert Graham item is their two panel bow ties. Each part of the bow tie is a different pattern and sometimes color giving you tons of different ways to pair them with your dress shirts. Ever since I discovered Robert Graham the brand has become a part of so many major moments in my life. 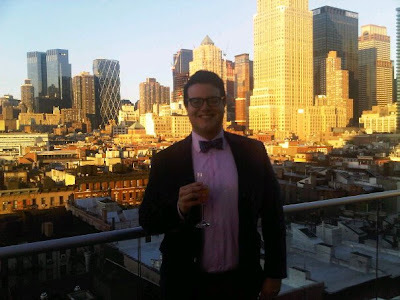 I wanted to recap and share these moments with my guys and gals so here we go; my major moments in Robert Graham! I was thrilled when ABC 7 asked me to talk 2012 Oscars Fashion with them so of course I called upon Robert Graham who let me wear this royal blue velvet blazer with mother of pearl buttons. It went so well with the pink RG dress shirt and blue striped RG bow tie. 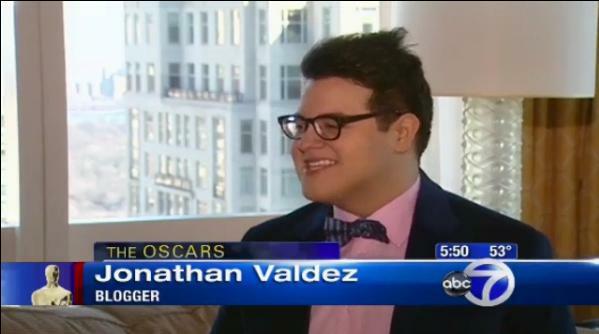 I wanted to feel like I was on the red carpet for E!... Mission accomplished! I wore Robert Graham during Mercedes Benz Fashion Week for the Fall 2012 collections and got to interview some amazing celebs like Holly Robinson-Peete. 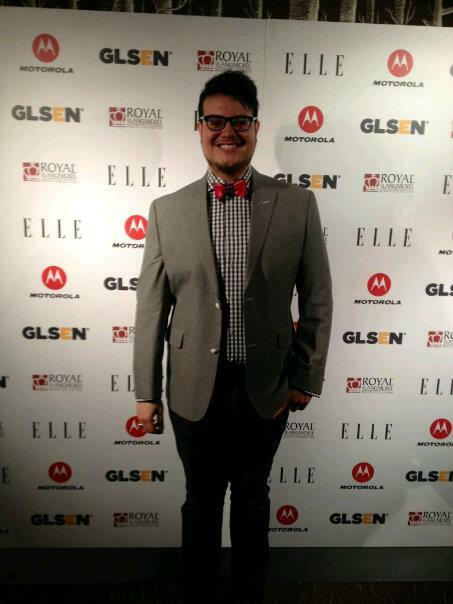 I also wore the same blazer when I hosted a Tweet up at the GLSEN Lounge presented by Elle Magazine. Notice how I wore the blazer with two very different shirts and bow ties and how it still looked amazing. It goes to show that an investment piece like a good blazer will take you places! This summer I actually had the chance to finally meet Mr. Oscar! It was such an honor and yes, it is real and they are very heavy! This was one of my everyday looks with a Robert Graham dress shirt and a red and blue RG bow tie. The shirt has great subtle details yet can take you from an office setting to after work cocktails in no time! Also, a blazer would change this look completely! I have also worn Robert Graham to special occasions like a friends black tie wedding at the beginning of the summer. I received so many compliments on my bow tie and black velvet blazer with paisley burn out that at the end of the night a group of guys surrounded me with their wives and were asking me all kinds of fashion questions. 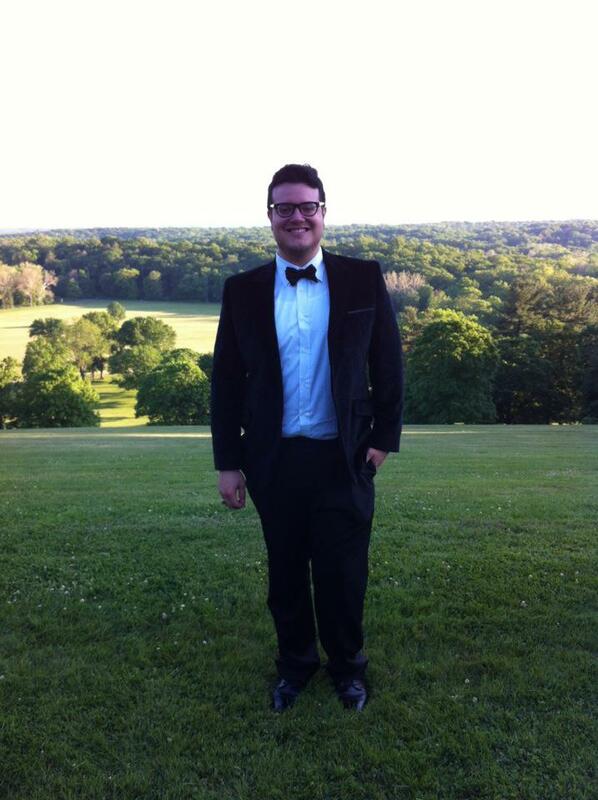 It ranged from what was hot in black tie to everyday menswear. The right clothes will make you look like you know what you are doing so just be prepared for questions! Everyday things like going to events for OJ&B has meant wearing Robert Graham as well. As I have said before you can dress it up or dress it down but because of the way it looks it will never look basic. 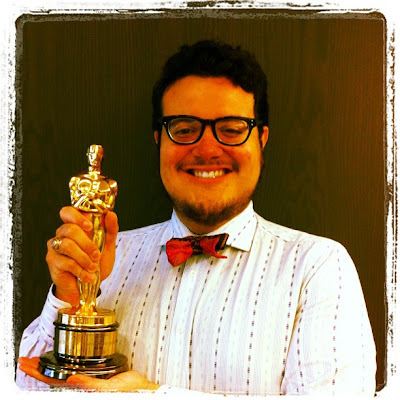 Notice how I used a really great bow tie made by my friend Miles Ehan to contrast the classic look of my RG shirt. Fashion is all about putting things together in creative ways. So now that I have shown you the various ways that you can wear Robert Graham it is time to share with you how you can get your own amazing pieces! You can check out the hot new arrivals for Fall 2012 by going to the Robert Graham website robertgraham.us. You can also check out the latest on Robert Graham by following them on Twitter @RobertGrahamNYC. I hope you enjoyed looking back at my major moments in Robert Graham! Look out for more posts and pictures on my social media pages to see if you can spot me in RG. Hopefully there are many mor major moments to come!